Texas is the second most populous state, and we all know that it’s growing fast. But sometimes we fail to recognize the obvious. There are 267,000 square miles of Lone Star State, which means Texas is overwhelmingly rural. And so it’s no wonder that America’s physician shortage is hitting Texas hard. An April 2015 report for the North Texas Regional Extension Center by the research firm of Merritt Hawkins found that 35 of the state’s 254 counties have no physician at all and that Texas ranks 41st in the nation for the number of physicians per 100,000 people. The doctor shortage clearly is a factor in why many Texans choose to get medical care from an advanced practice registered nurse, or APRN. These professionals are trained to provide many levels of care ranging from treating the common cold or flu to more complex care like delivering babies and providing geriatric services. 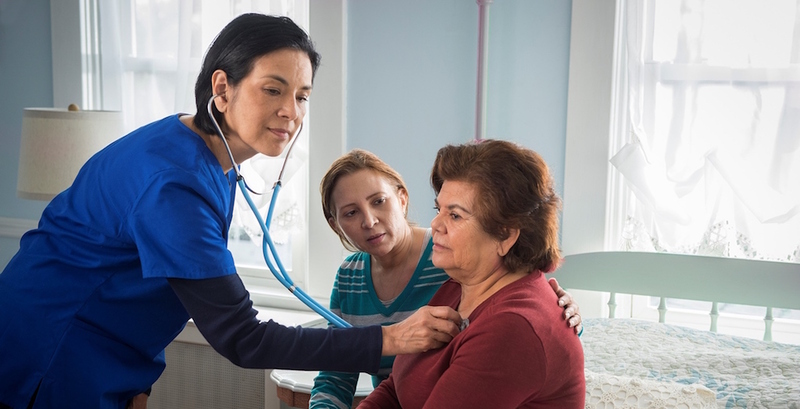 Regardless of the talents and extensive training of these specialized nurses, some patients don’t have access to APRNs because of restrictions placed on them under Texas law; APRN’s are restricted from practicing to the full extent of their licensure and training. Each is also required to have an expensive financial agreement with a physician. The upshot: Texans aren’t always getting the health care they need when they need it most. The Legislature can improve this access to care issue this year by lifting some of the restrictions on APRNs as proposed under Senate Bill 681 by Sen. Kelly Hancock, R-North Richland Hills. The shortage of medical providers puts Texans who are responsible for the care of a family member or other loved one in a bind when they can’t get easy access to medical care. Poor access to primary care also forces many patients to get treatment at hospital emergency rooms, where care is expensive. APRNs are very well trained in areas like primary and preventative care, and when regulations permit, they can do a great deal to fill the gaps caused by the physician shortage. Let’s help improve access to affordable care in a smart way that makes sense for Texas. Let’s change how we regulate advanced practice nursing.